Lithium-Ion powered battery for robust and long-lasting power. Features up to 2 hours of run time and charges in 90 minutes or less. Weighs less than 10 oz., perfect for lightweight and ergonomic use that won't weigh you down. Cord/Cordless operation for reliable power. High-speed adjustable blade (30 to 9). 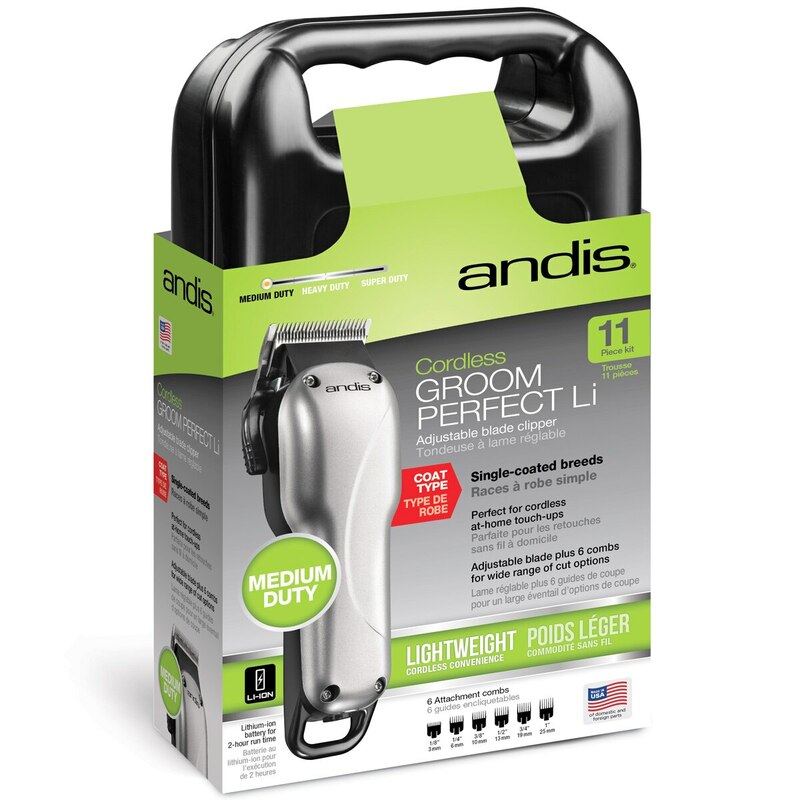 Andis Groom Perfect Li Cordless Clipper is rated 3.0 out of 5 by 2. Rated 1 out of 5 by Mary from Sounds like a chainsaw and shakes like one. Very loud and heavy vibration. I purchased it to have as a quick trim clipper to keep bridlepaths, ears, and muzzles clean-- I opened it and was pleased to see the size fit great in my hand. For the price it was a steal. However, once fully charged and clicked on, I wanted earplugs and my hand immediately felt funny for the heavy vibrations. Returning immediately. Rated 5 out of 5 by Sharppony from Hard to find... Just the right size cordless clipper. 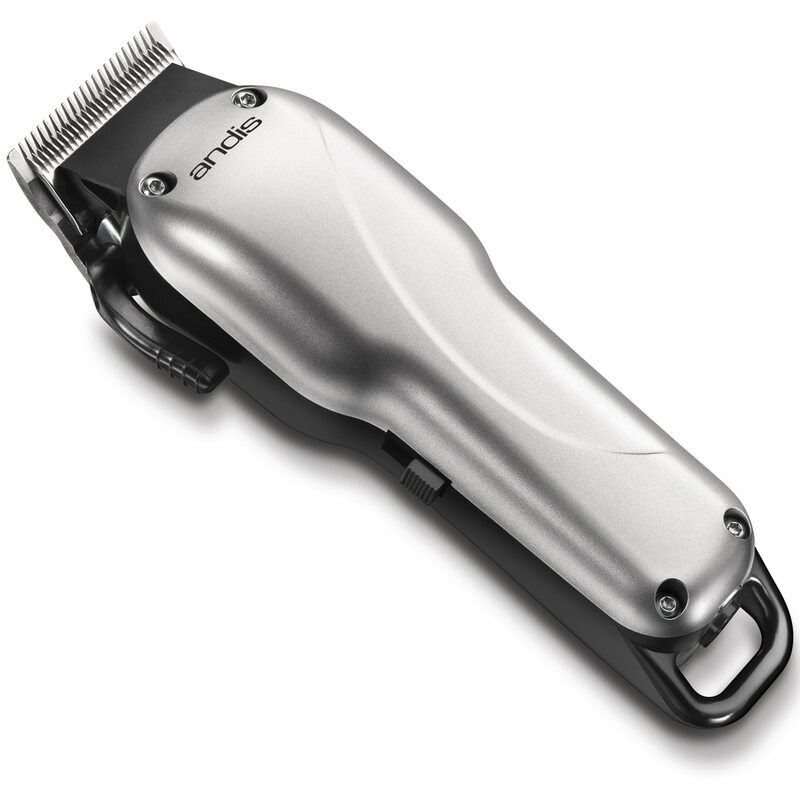 Clips more than whiskers and ears...and I love that it's cordless!